Do you feel that? It's getting cold, real freezing cold. Winter is upon us and quite frankly we don't feel like freezing our asses off out in the cold. Our Californian weather is insanely unpredictable and we don't think we're alone on that front. So a good backup plan is to always have the right type of gear to pick from that closet of yours. It's that time of year where you look for something fresh to replace your old clothes that have seen quite a few harsh winters and admirable use. Triple Aught Design or TAD for short, is one of those brand names which are hard to come by and that offers really amazing apparel that easily matches if not surpasses some of the big-time and well known brand names in the outdoor outfitting arena. The company is famous amongst military personal as well as the tactical oriented crowed, and for good reason. Triple Aught Design is stationed in San Francisco where it makes all of its outdoor, tactical and adventure oriented clothing and gear designed for people who appreciate quality, well thought-out stuff. Triple Aught Design's $219 Ranger Hoodie is one of the outfitter's best selling jacket that's available for men in four colors, while the slightly more expensive $235 Valkyrie Hoodie is the women's equivalent. The Ranger Hoodie is not a typical hoodlum hoodie you'd find at your local retailer. Far from it in fact. It features a modern-cut designed with tactical aspects and a seam-less design using a Polartec WindPro material that's coated with DWR for superior rain-resistance, a zippered design, six strategically placed YKK zippered chest and arm storage pockets with D-rings inside for secure tethering of your small essential gear and two side arm patch Velcro areas for customization. And then you've got little details like armpit ventilation, thumbhole cuts made to the cuff keeps your hands warmer when not using gloves as well as a glow in the dark removable logo emblem. Removable! That's what we call a true tactical jacket. If a head warming hoodie is not your forte, Triple Aught Design's Ranger Jacket should peak your interest even more. The Ranger Hoodie is the type of jacket that you can wear indoors and outdoors without needing the help of a massive nylon rain garment to keep you dry and warm. 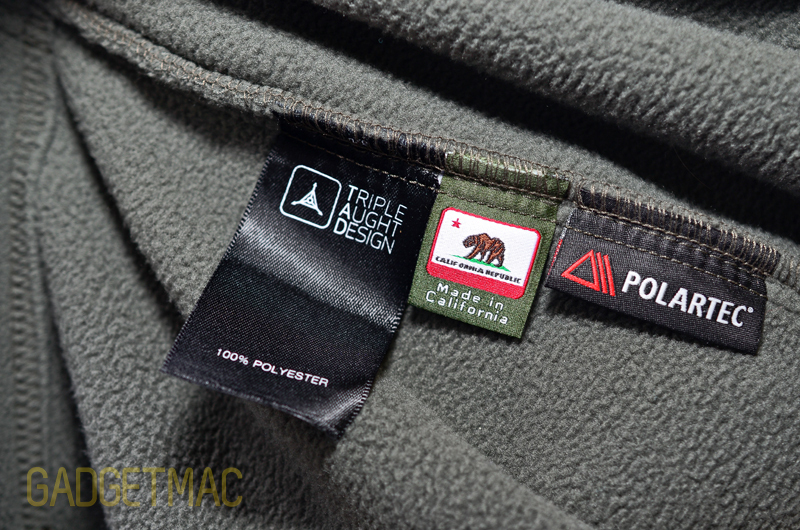 Triple Aught Design uses a soft material called Polartec WindPro fabric which makes the exterior and interior of the Ranger Hoodie jacket, and is essentially a type of fleece that's very thick and hefty compared to the thin and unsatisfying fleece used in other jackets. That also means that the Ranger Hoodie is quite a heavy jacket, but one that's evenly distributed and feels well balanced when put on. 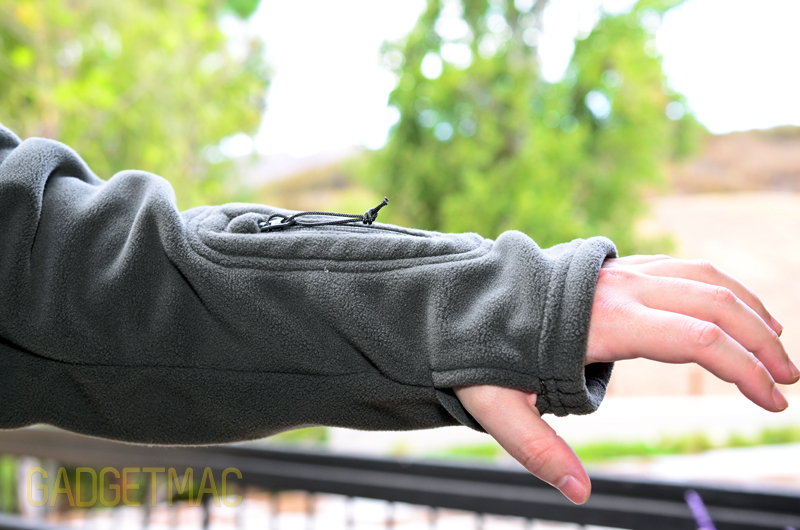 After all, the thicker and heavier the jacket is, the warmer you're going to be. The Polartec WindPro fleece is treated with a layer of water repellant technology called DWR which really helps prevent wind from entering thru the fabric as well as repeal rain like no other. 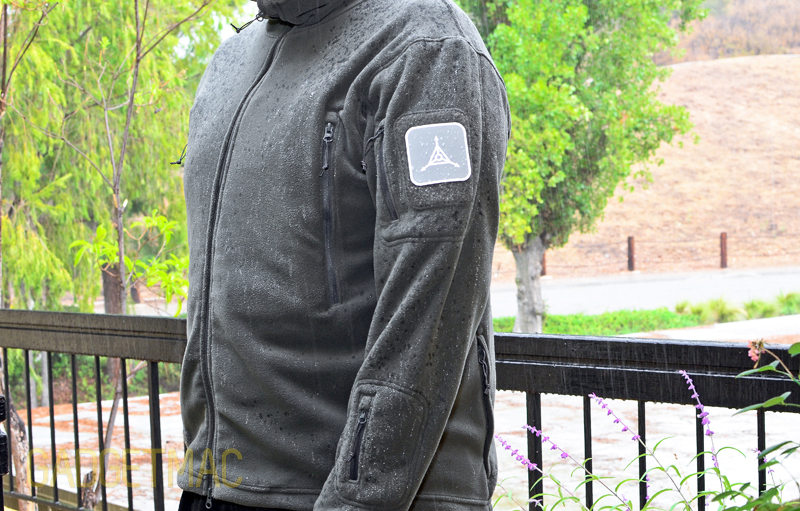 We tested the Ranger Hoodie out on a rainy day and it performed spectacularly well. Water simply did not enter the fabric and the inside was dry as a bone even after a full day. But we did notice that while the DWR treated Polartec WindPro material did not absorb water to the point of penetration, it did end up harboring most of it oddly enough. Unless you blow dry the Ranger Hoodie or furiously shake off all the water, it won't dry itself exteriorly. The Ranger Hoodie is designed to trap heat your body generates in order to warm you up, quickly. That also means the Ranger Hoodie isn't very breathable which can be an issue if the conditions warm up or you generate more heat by running away from a killer grizzly bear. Hopefully the former will be all you'll have to worry about. The Ranger Hoodie is the warmest, most comfortable hoodie jacket I've ever worn. It'll make you feel all warm and fuzzy inside. Like many others, I personally love wearing The North Face and as far as I see it, the Ranger Hoodie has all the right qualities that match up to The North Face and maybe even beyond due to the unique aspect of the TAD design. Triple Aught Design's effort in creating the Ranger Hoodie shows thru with a great deal of attention to detail and superb, sophisticated style that goes beyond the exterior of this amazing jacket. 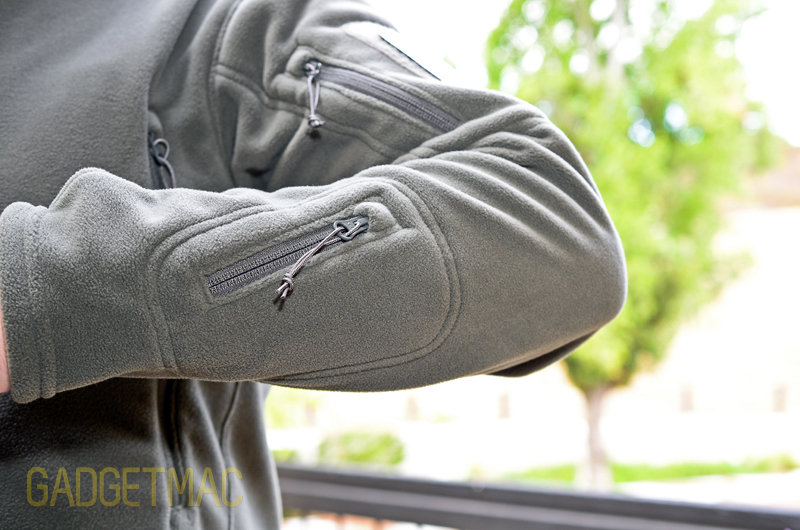 One of the stand-out features of the Ranger Hoodie and its hoodie-less jacket version are the two military-inspired arm patch placements that let you add and change the way your jacket looks like to your own custom, personal taste using various baddass-looking emblems available to purchase seperatly from TAD starting at $2.50. 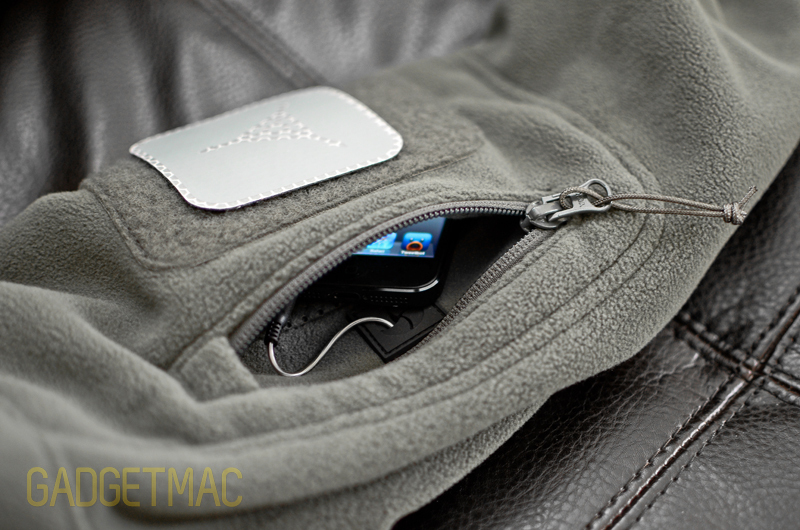 Arm and chest pockets both have a port opening for routing headphone cables thru and under discretely while interior cable tabs route and keep the cable organized as it exists the top of the jacket. The two chest pockets are the largest quick access pockets that have plenty of room to hold a flashlight, phone, lighter, pocket knife and other essentials comfortably. The largest pocket the Ranger Hoodie and Ranger Jacket have is around the bottom backside, where you will find a dual-entry zippered hunter's pocket for larger things like carrying a water bottle. Albeit that's not a very comfortable method of transport. All in all Triple Aught Design's Ranger Hoodie is really the ultimate fleece hoodie money can buy. It's our new favorite winter companion. You won't be disappointed choosing either of the Ranger jackets. They're carefully thought-out with fantastic use of strategically placed pockets, extremely comfortable, well designed using excellent warming materials constructed with the utmost quality and look awesome. The only downside is that you'll have to drop at least $219 if you want to grab one of the best fleece jackets which are made in the USA and not by using cheap, and mass produced outsourced labor. The hoodie has a bonnet brim to better keep rain away from your face. Interior cable routing tie for use with headphones directly routed thru the Ranger Hoodie's shoulder arm pocket where you can put an iPod, iPhone or other devices discretely. Dual-zippers aren't so easy to use at first, but you do get the hang of it after a while. Four pit-vents to keep that area breezy. 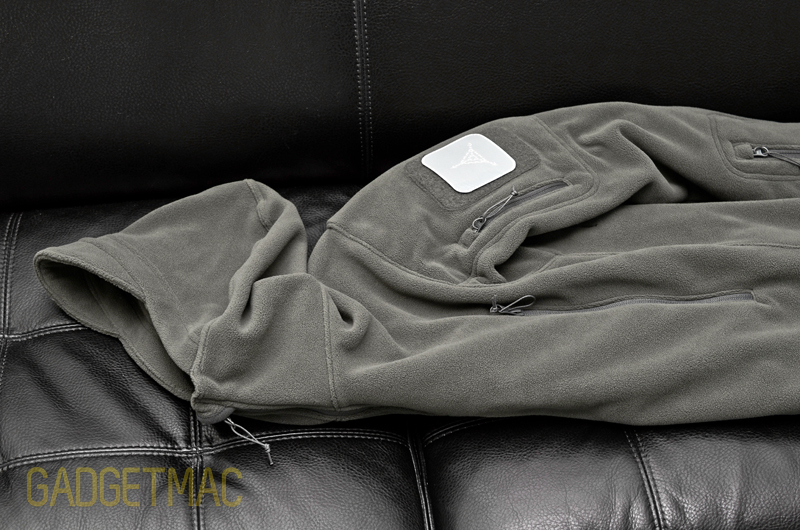 Two Velcro tabs are positioned on the hoodie cap so you can attach some cool patches available from TAD.